Good Morning SHINE family! :) This is Rebekah and I am writing to you in this ripe season of Easter. We are now within the 50 days, post resurrection, that the early church recognized as a time of feast and celebration. The 50 days after Christ was raised. Amen! During the Easter season, I am always struck by one thing. It seems to be a different thing-- every year. ...This year, I greatly grieved with Jesus as He knew His fate. He knew it ALL. He knew who would deny Him, who would betray Him, who would try Him, who would fight for His death by crucifixion, how horrible and painful His death would be. He walked constantly with the weight of His own omniscience. For the first time in my life, I was so grateful for my own humanity and for knowing absolutely "diddly squat" about what my future holds. I realize that this causes us or forces us to really turn up the volume on faith and trust. But to me, that's OK, because if I knew the future, I can say definitely that I could not handle it. It also causes us to be faithful in our decisions and choices even when our lives are terribly difficult. Jesus understands. He has been in those darkest moments as well. For example: Things like walking with Judas, sharing life with him in ministry and washing his feet just before he turns me over for 30 pieces of silver? I don't know. It's just a small part of the weight of knowing everything. Jesus knew his whole future and I am grateful for my ignorance. We crave knowledge or glimpses into the future, but that can be way too much for us to handle. "And during supper Jesus, knowing that the Father had given all things into his hands, and that he had come from God and was going to God, got up from the table, took off his outer robe, and tied a towel around himself. Then he poured water into a basin and began to wash the disciples’ feet and to wipe them with the towel that was tied around him. 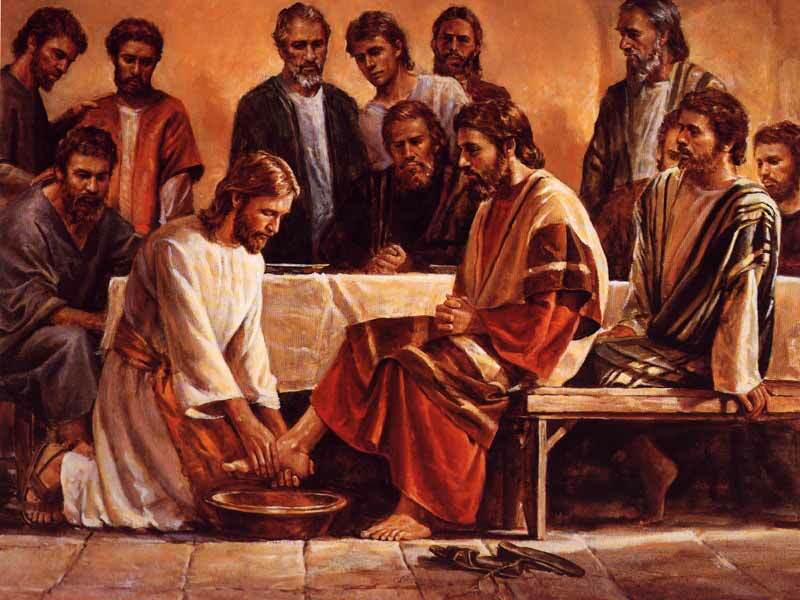 He came to Simon Peter, who said to him, ‘Lord, are you going to wash my feet?’ Jesus answered, ‘You do not know now what I am doing, but later you will understand.’"
As Jesus got up from the table and began to wash the dusty, dirty feet of the disciples, imagine the heaviness of His spirit. It was an incredibly difficult road that was just about to get horrific. He lived an incredibly hard life for us. The future is a secret to us and that's a blessing, girls. Rest in Him today. When we know Him, and knowing Him is all we need to know.